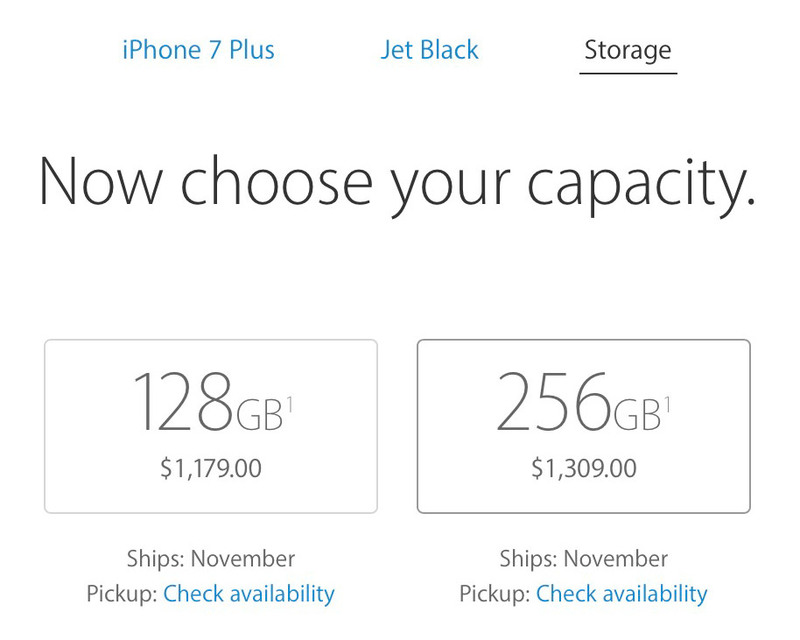 iPhone 7 and iPhone 7 Plus went on pre-order Friday morning, and delivery times for iPhone 7 Jet Black slipped to November within 20 minutes. All other colors on iPhone 7 Plus range from 6-8 business days to 2-3 weeks. 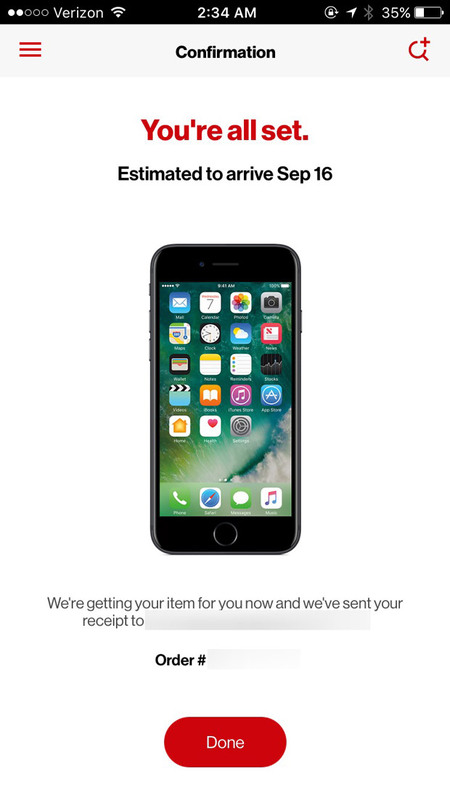 Put another way, every iPhone 7 Plus model available for September 16th delivery has been claimed. 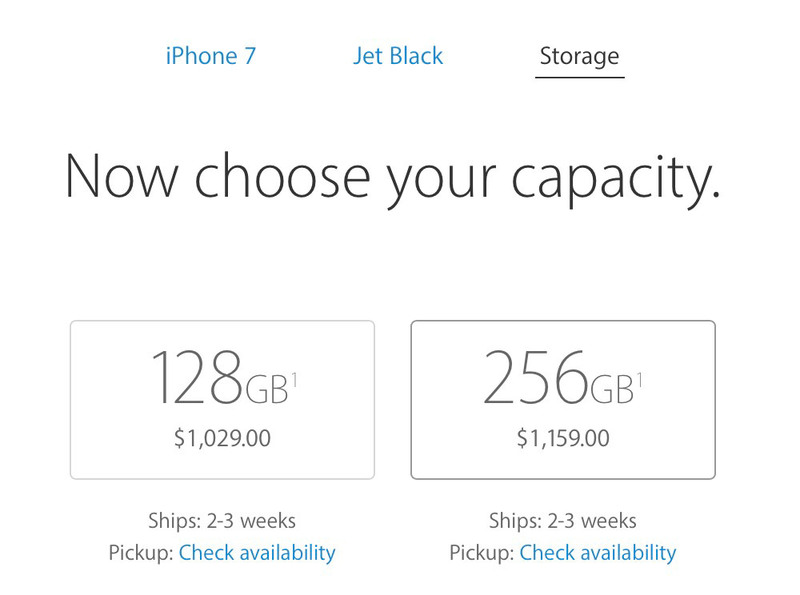 On iPhone 7, Jet Black models slipped to 2-3 week shipping times within the first hour. Black, Silver, Gold, and Rose Gold all offer delivery between September 16th and September 20th as of this writing, depending on the carrier. Apple’s site was five minutes late coming back on line for pre-orders, and AT&T almost immediately crashed. The other carriers appeared to stay up throughout the first hour, and AT&T was back in operation after roughly 40 minutes. Jet Black is Apple’s newest color, and those are often highly sought after. Sometimes availability is limited on new colors, especially when Apple uses new production methods to get the finish in question. There’s little doubt that the dual-lens camera in iPhone 7 Plus is also increasing demand for that form factor. In other words, it’s no surprise that these models were the first to sell out. One more note: a friend of mine completed an order through Verizon at 2:34 AM Eastern, 26 minutes before the device was supposed to go on sale. I received the following screenshot a minute after it was taken, meaning if it was faked, it wasn’t faked after the fact. 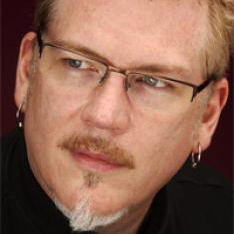 Also, I trust this person to steer me straight. The moral of the story is that some girls have all the luck. There will probably be plenty of stock by Black Friday.